Ben Crook, a Certified Front End Magento Developer, Talks About His Experience and Where He Sees Magento in the Coming Years. Today we have another Magento maverick, Ben Crook, with us. He is an experienced Magento frontend developer currently at Space 48. He is also a Certified Magento Front End Developer. Muneeb: Ben Crook, thank you for giving us your precious time. What was your reason behind choosing Magento and could you briefly shine light on your career? I didn’t actually choose Magento as such (maybe Magento chose me?). I got talking to somebody who worked at Space 48 at the time and after visiting the office and meeting the team I really wanted to work there. Unfortunately, they didn’t have any vacancies for someone without Magento experience, so with the help of Tony Brown, I spent a few months curling up in a ball and crying whilst learning the basics of Magento. After a while, it started to click and I began enjoying my fights with the platform, and now it feels weird working on a website that isn’t on Magento. Muneeb: If Magento was not developed, what would have been your recommended platform for ecommerce? How would you differentiate Magento from other ecommerce platforms? Ben: Being a front-end developer, it can be hard to start with new platforms as they usually require advanced PHP and SQL knowledge, so I have generally shied away from other platforms. Because of this, I don’t really have enough experience with other ecommerce platforms to know which are worth using or how they compare to Magento. 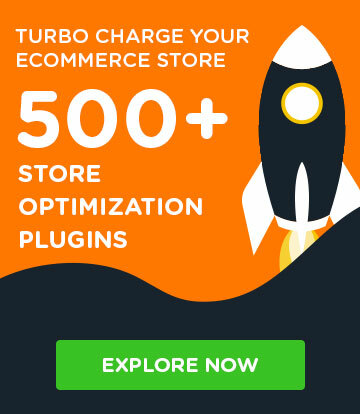 If Magento didn’t exist I would go with WooCommerce (WordPress) as it seems relatively easy to setup and manage compared to most ecommerce platforms. Muneeb: Where do you see Magento in the coming years? Will it be able to compete with other ecommerce platforms, and what features or changes would you like to see in future versions of Magento? Ben: With the recent $250 million investment, I can see Magento changing a lot over the next few years. Also, it sounds like they have finally realized that front-end is more than HTML and CSS. They seem to be listening to front-end devs and I get the impression there will be some large (and necessary!) changes to the workflow such as the BEM naming syntax that Alan Kent discussed. As an FE dev, Magento 2 is a bit of a pain to work with unless you create your own workflows. I’m pretty excited for the SCSS blank theme making it into core Magento as that would lower the skill barrier slightly, and hopefully they’ll also include a decent Gulp/Grunt setup as I’ve been relying on Frontools recently (I’m not on commission with Snowdogs, honestly). Another feature I’m looking forward to is Bluefoot CMS being added to the core, I am more than fed up with Tiny MCE editor in the admin, as all it seems to do is cause problems. I want to see some good documentation on the Knockout JS implementation. The dev docs hardly mention it at all and the Knockout tutorials don’t help much as Magento implementation has been customized. I’ve been getting by with some help from Vinai, Alan Storm, and Stack Exchange, but it would be great to have some detailed documentation on it. Muneeb: You are a Magento Certified Front-end Developer. 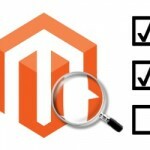 How important is certification for Magento front-end developers? Ben: From a personal point of view, I don’t rate certifications too highly. It’s just a piece of paper that says you passed a multiple choice exam and it doesn’t necessarily mean you’re better than a non-certified developer. It isn’t a bad thing, though, and it certainly helps you when you are looking for a job, so if you do get the chance I would recommend taking the exam. From a commercial point of view, it’s a different story. 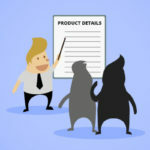 There is a minimum number of certified devs required before you can become a professional or enterprise Magento partner, and it will have significant importance when trying to gain new clients. Muneeb: As a Certified Magento Front-end Developer, could you please list some of the best responsive themes for Magento 1 and Magento 2? Ben: I work for an agency that creates bespoke themes, and I haven’t worked with any third-party themes other than using the blank/RWD themes as a base. Although using a third party theme may be cheaper and easier in the long run, it requires more maintenance and is generally harder to work with as you don’t have the understanding you would with a theme you built yourself (not to mention it isn’t unique). Muneeb: List any three key points you focus on before starting front-end development. Organization – Split up tasks and estimate the time required. You can be the best developer in the world but with poor organization, the project will come crashing down. Customizations – What new/custom features do we need to build? Plan modules/components – What is reusable and can be created as a module/component? For example, buttons/carousels/banners, etc. Nothing annoys me more than seeing the same component styled 20 times individually (AKA reinventing the wheel). Muneeb: Do you attend Magento Community Events? How important a role do these events play in your career? Which Magento event do you like the most? Ben: Currently, I only attend Mage Titans as most other events I’ve seen are more targeted towards directors and marketing people rather than devs. I don’t care much for sale figures and marketing strategies yet. 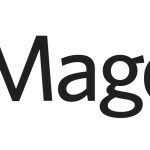 I will soon be attending some Manchester Magento meetups/user groups. I suspect they will be heavily back-end focused, but I’ll soon find out! My favorite by far is Mage Titans as it’s by developers for developers. I even enjoy the back-end talks! I probably shouldn’t mention Mage Titans and back-end in the same sentence after watching Tadhg’s talk. Muneeb: How do you differentiate Magento 1 and Magento 2 with respect to front-end development? Do you think that Magento 2 is better for store owners nowadays? Ben: As a whole, I prefer working with Magento 2. Although you require even greater skills for it, it almost forces developers to follow the best practices, which is great. For example, managing JS dependencies via Require JS and building apps with Knockout JS is something most Magento 1 devs don’t seem to bother with but with it being included in Magento 2, there is a lot less effort required. The downside of that is it is a LOT harder for new devs. As if learning Magento isn’t difficult enough already, you now have to learn Require JS, Knockout JS, and LESS too! I do have a small worry that we will start to see fewer front-end devs coming towards Magento because of this. 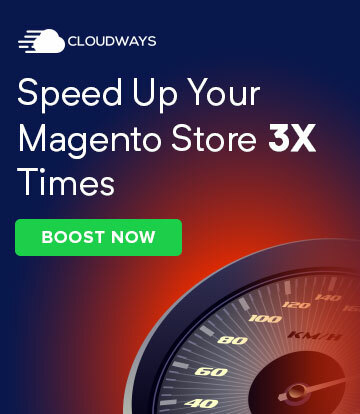 For store owners, I think Magento 2 is a good choice, but for some it may be wise to wait a while. Magento 2 now seems relatively stable (compared to a few months ago – 2.1 caused some pain! ), even though I suspect there will be some large changes in the coming year – especially to the front-end. Large changes come with downsides (conflicts, bugs, and extra-time required, etc.) 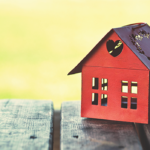 that not everyone will be able to afford, so do plenty of research to decide if now is the correct time for you! Muneeb: What tips do you have for beginners who want to learn Magento front-end development? Where should Magento newbies start from? Ben: I would strongly advise breaking it up into chunks. There are many aspects to Magento and trying to learn them all at once is extremely overwhelming. So for example, look at Layout XML, then when you feel comfortable with that, move on to templates, and then on to creating modules, etc. As for resources to help you learn, the Magento Stack Exchange and the Magento 2 dev docs are great places to start. Also don’t be afraid to reach out to people because the Magento community is extremely helpful. For all you know, they will be willing to mentor you! Ben: My favorite aspect of being a developer is the variety in work. So many jobs require you to do the exact same tasks over, and over, and over. One week I could be building a lipstick finder whilst the next I’ll be working on a furniture builder. I also love learning, and with how fast paced front-end development moves, I get to do plenty of it. Muneeb: You are a front-end developer with a busy schedule. How do you plan your day? And what do you do in your spare time? Do you like playing games, watching movies, and hanging out with friends? Ben: Thankfully, most of my day is planned before I even get to the office. 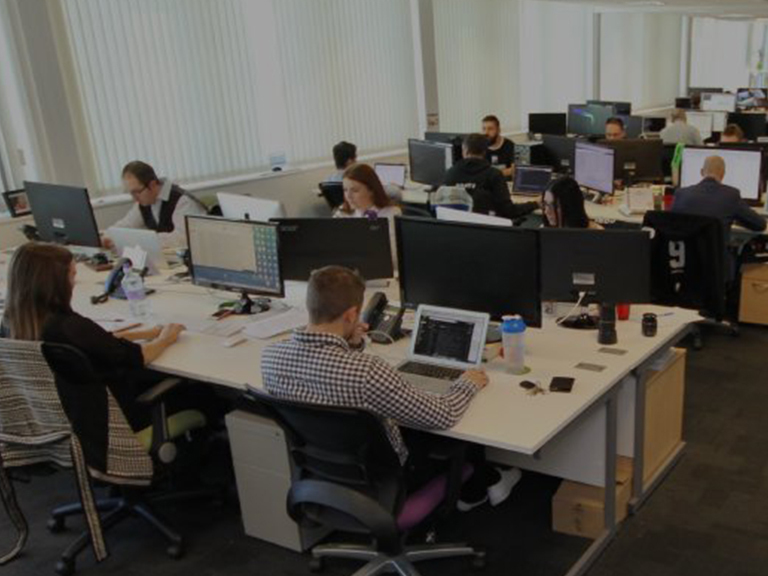 We have a good workflow where we provide estimations to the project managers so they can ensure we have the time required and can schedule the work with us. So providing I keep everybody up to date with where I am, it’s just a case of making sure I complete my work on time. I’m the happiest when I’m chilling out at home, so most of my spare time is spent on gaming (PC master race! ), watching TV series (Black Mirror is my new favourite), or spending time with my girlfriend/friends/family. Muneeb: Everyone has some inspiration in life. Name some people who have inspired you in your life. Ben: My main inspiration is my father. He’s always worked hard and done everything he can to improve the quality of life for his family, and it’s that thought that keeps me going through the stressful times. Also around 2 years ago, we (Space 48) did some ‘life’ coaching with Martin Murphy which helped my thought process in pretty much all aspects of life. For example, the universal life cycle can be applied to jobs, relationships, and businesses etc. Muneeb: Magenticians is running an interview series. Who would you like to nominate to be interviewed next on Magenticians? Ben: I would love to hear what Vinai Kopp or Alan Storm have to say.